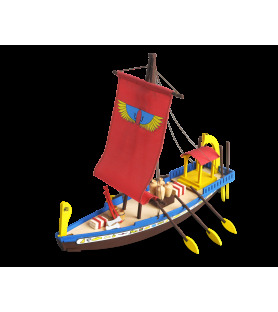 Build, decorate and enjoy the Viking model, classic Viking ship. It is constituted of 54 pieces and after finish it, it has 268 mm long. 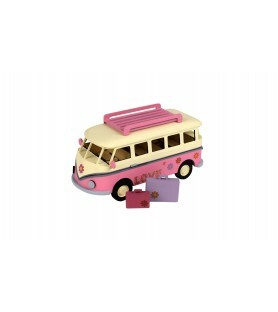 In the Junior series collection you will find a wide catalog of wood models, ideal for starting the youngest children of your home into wood modeling and bring their creativity and ingenuity back. Recommended age: +5 years old. Enjoy this new series of "Boats of History". 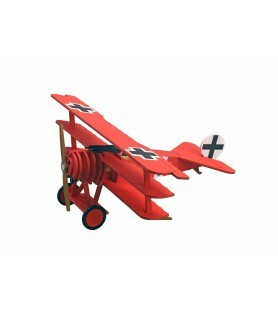 It is a group of kits for +8 years old children. 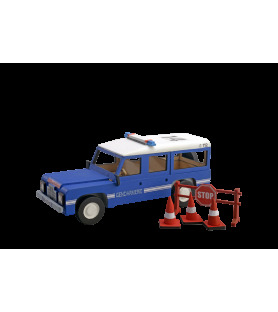 The models present an easy and pleasant building that suppose a different and healthy activity during its assembly and they may be the beginning of a passion for the hobby of modeling. 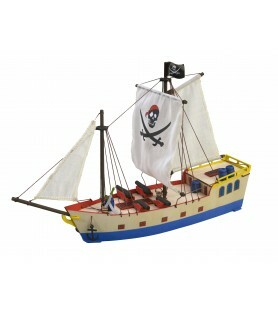 Share and enjoy with the youngest children building this series of boats that marked the history. Collect them! The basic structure of the model is plywood board made by high precision laser cut, with a fit in system extremely simple and effective. The kit includes all needed to complete the toy: cut and sewn sails, cotton thread, instructions on DVD, glue, paints, brush and stickers. 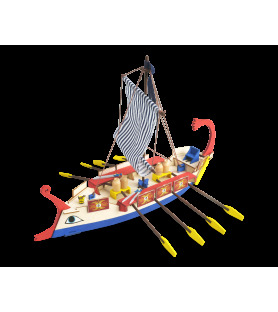 Within the series of Boats of History, you will find the model as wooden boat kit "Cleopatra". 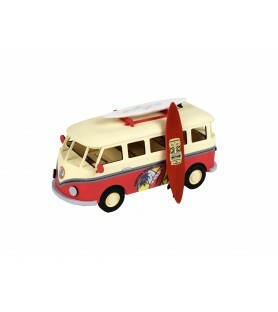 The perfect gift to bring creativity and ingenuity back of the youngest children of your home. Recommended for +5 years old children. 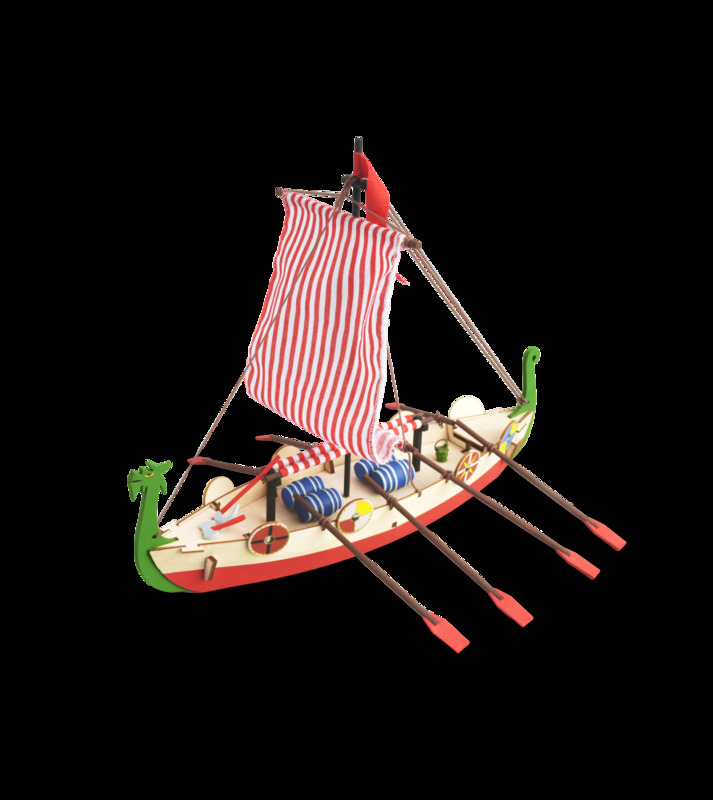 Build, decorate and enjoy the wooden model boat "César", classic Roman boat. It is constituted of 55 pieces, included in the kit, and after finish it, it has 305 mm long. 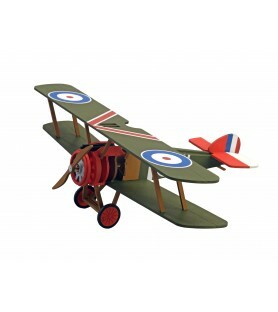 Is the perfect gift for the youngest children of your home bring their creativity and ingenuity back. Recommended age: +5 years old.